Idris Elba’s fiancée Sabrina Dhowre is currently the talk of social media. Yes, that’s partly because it’s a startling reminder that Elba is very close to being officially off the market. 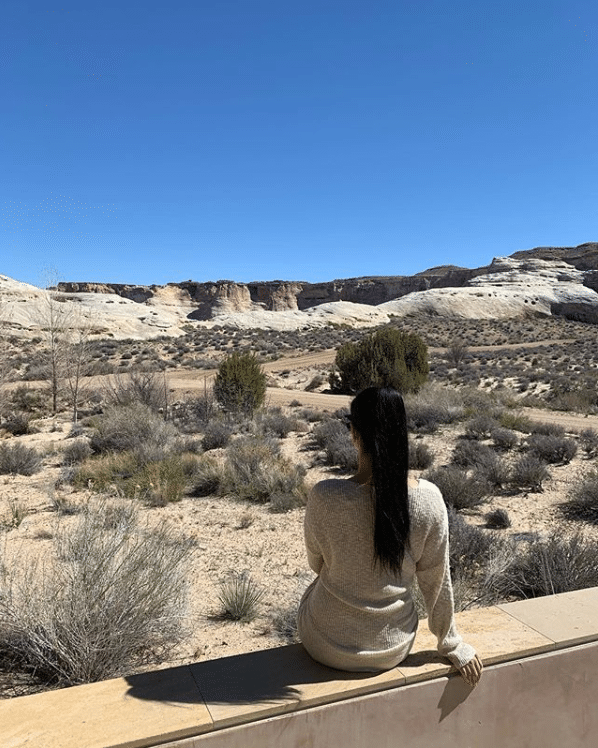 It’s also because the bride-to-be’s desert location in Utah for her bachelorette party is giving us serious travel envy! 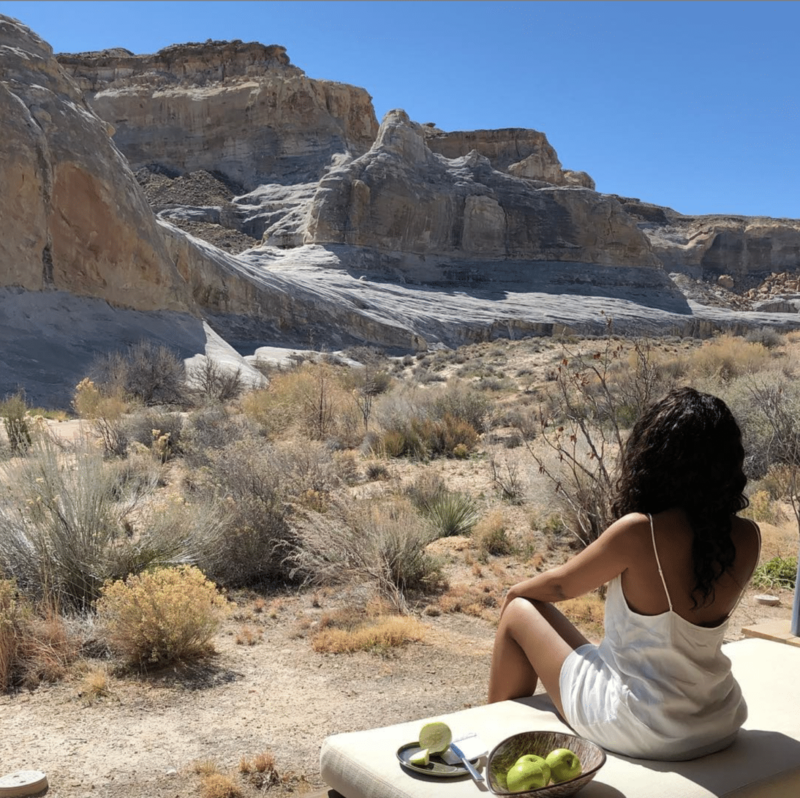 For her last single girl’s hooray, Dhowre and nine of her best girlfriends jetted off to Amangiri resort in Utah. The breathtaking location is a dream with Instagram-worthy views and serene pastures. 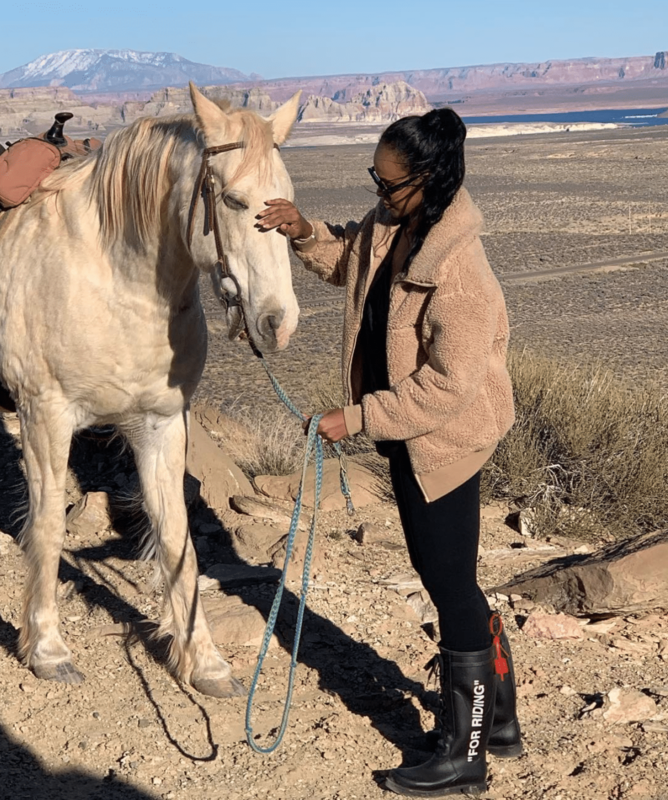 Dhowre and her besties posed for plenty of photos as they lived their best life out west. The girls celebrated this weekend in blush-colored pajama sets with Bride Squad embroidered on the back. The ladies soaked up the sun and took in plenty of gorgeous views of the mountains. 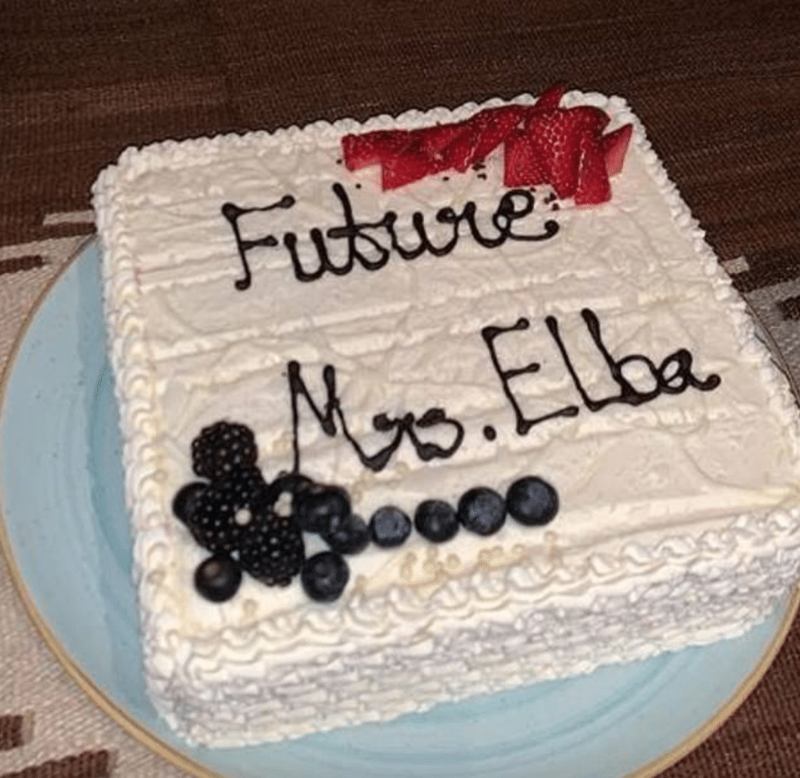 And of course, a bachelorette for the future Mrs. Elba wouldn’t be complete without a cake. Dhowre and Elba, dubbed as “Idrina,” first went public on the red carpet of the 2017 Toronto Film Festival. While on the promo trail for the film The Mountain Between Us, the actor confirmed that the two were dating…breaking hearts everywhere. Though Elba once vowed to never get married, Dhowre stole his heart. 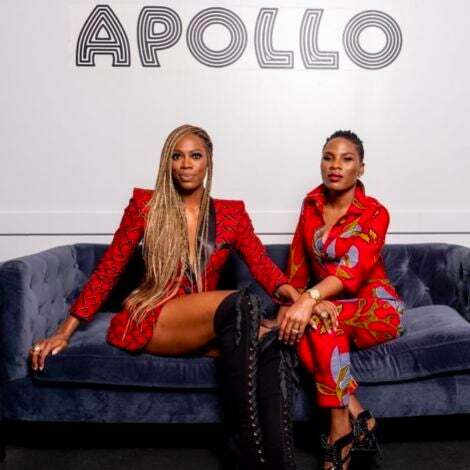 In February 2018, the actor got down on one knee and proposed to Dhowre on stage at screening for his directorial debut film Yardie in London. Drinks, Drinks and More Drinks! Zoom in on the straws for a surprise! 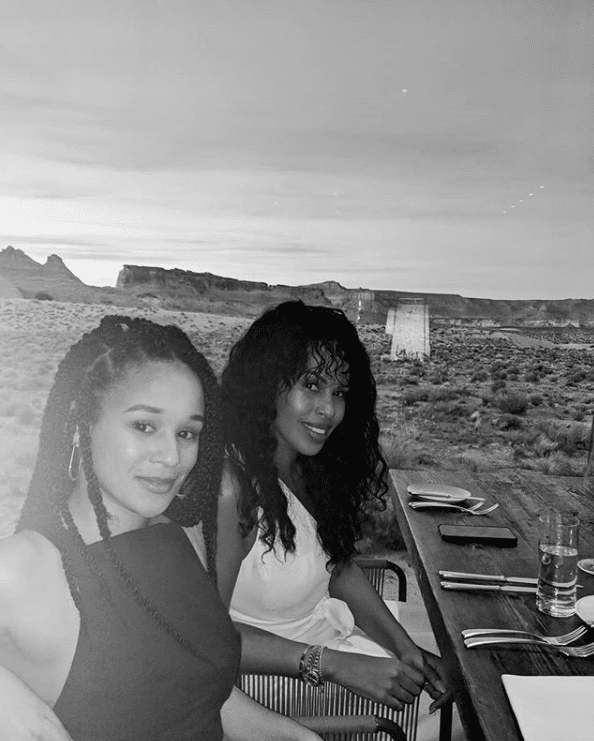 Sabrina and her BFF Gillian strike a pose at dinner. Who needs filters at a place like this? Sabrina's friend Mega enjoys the view from their room. 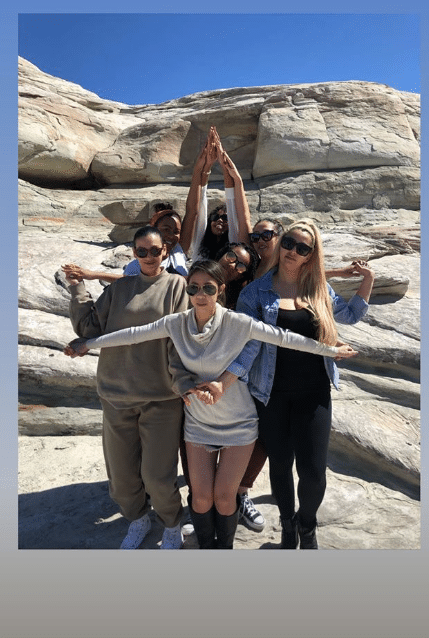 The bachelorette crew recreated this meme photo while in the desert. Priceless! 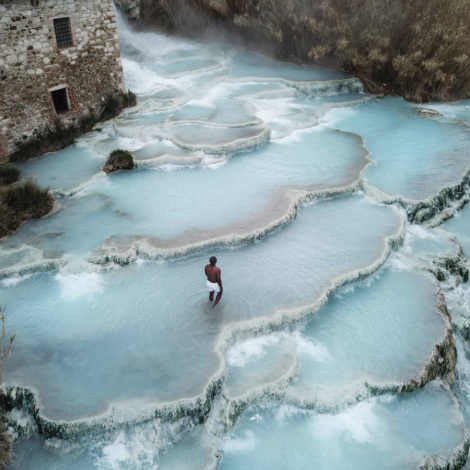 This looks straight out of a postcard! Sabrina met a furry new pal at resort. Isn't he cute? !